Portable JENNY 1200 fuel cells deliver reliable, fully automatic off-grid power in multi-day missions. +++ Decisive criterion: Over 80% weight savings for soldiers in the field. +++ Order value exceeds EUR 1 million. Brunnthal/Munich, Germany, June 26, 2018 – SFC Energy AG (F3C:DE, ISIN: DE0007568578), a leading provider of hybrid power solutions to the stationary and mobile power generation markets, has received a major order from an international defense organization for the delivery of SFC Energy’s JENNY portable fuel cells for use by soldiers in multi-day missions. The order has a total value of over EUR 1 million. Optimum soldier safety and operability in the field depend upon the reliable availability of off-grid power. SFC fuel cells are a lightweight, silent, almost non-detectable alternative. 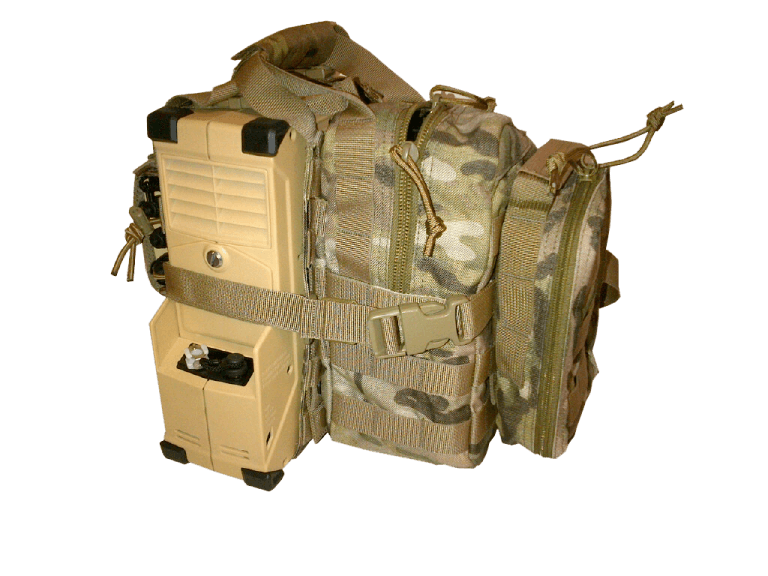 The portable JENNY 1200 fuel cell with a nominal power of 50 W builds on SFC Energy’s award-winning DMFC (direct methanol fuel cell) technology for defense and security applications. Decisive advantages of the system are a major reduction in the number of spare batteries to be carried by soldiers, up to 80% weight reduction in a 72-hour mission, fully automatic and silent battery recharge, no maintenance required, almost no detectable heat signature; and ultimately lower total cost of ownership. JENNY 1200 uses pure methanol as fuel, available in three convenient fuel cartridge sizes, offering market-leading energy density and weight savings over fuel cell technologies with conventional methanol/water blends. Like all SFC Energy’s power generation and distribution products for defense applications, the JENNY 1200 integrates seamlessly into the existing SFC defense product family and into all SFC energy networks and power solutions. Additional information on the SFC Energy’s off-grid power portfolio for defense, security & safety, oil & gas, wind, traffic management, environmental and telecommunications applications at www.sfc-defense.com, www.efoy-pro.com and at www.sfc.com.